MAC By Request: this time, you decide! If you’ve ever known the particular heartbreak of not being able to get your hands on a favourite lippie, this should be music to your ears. 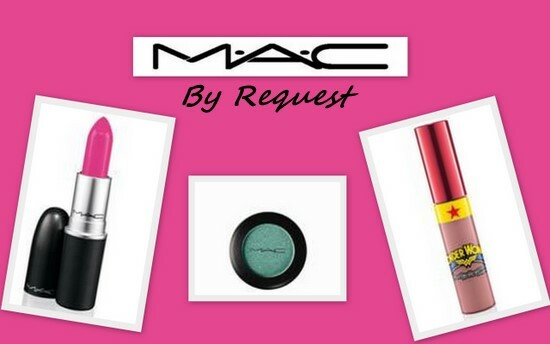 MAC are giving us a chance to bring back our discontinued favourites, by producing a new collection that’s created by the fans. A selection of eighteen cult classics will be put up to vote on MAC’s Facebook page so if your favourite is there, head on over and get your vote on! The three shades with the highest number of votes from each category will form the MAC By Request limited collection, that will be out this October as an online exclusive. Voting runs from March 12th until March 30th – what will get your vote? OOH - That"s a great idea ! omg i want the lipstick! Oooh I love Mac Lip Glass--just went over to their fb page. I have never been a huge Mac fan (the counter can be very intimidating) but I love this idea. I hate it when my favorite anything is discontinued.